There is so much to enjoy in an ABI, the peaceful tranquillity of escaping the everyday hustle and bustle, the cosy interiors to help you relax and put your feet up and the valuable family time you get with your loved ones. However, we understand that sometimes you may want to venture from your home comforts and enjoy an action-packed day. That’s why we’ve put together a list of what you can do in each area of the country. Venture from your ABI to Brodie Castle near Forres, in Moray Scotland. Step back in time and discover where one of the most prominent families in Scotland once lived, the Brodie family. The Castle is home to a beautiful garden, including Scotland’s biggest bunny sculpture. Make sure to visit in spring when the grounds are covered with over 100 varieties of daffodil and don’t forget to look at the art collection from Dutch Old Masters to modern watercolours. Culloden Battlefield was the setting for the end of the Jacobite Rising in 1745. You can walk the front lines where the Jacobites made their final stand against government troops and be transported back in time by taking part in one of their regular Living History presentations and exploring inside the Leanach Cottage. Established in 1980, The Loch Ness Centre and Exhibition host visitors from across the globe. They boast the highest award from The Scottish Tourist Board as a 5-star visitor attraction. 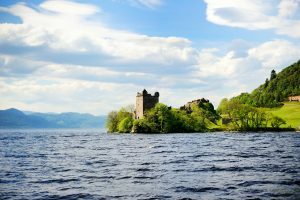 When you visit you can explore the Loch Ness Exhibition where you can learn the history and wonders of the world-famous lake. You can also take to the lake on a guided tour with Captain Alistair Matheson, will you see Nessy? Fancy a day out with the kids? Well, Huntly Nordic Outdoor Centre is perfect! Here you can learn and practice skiing, roller skiing and tubing downhill no matter the weather. Additionally, you can hire a bike and discover Scottish nature. There is so much to discover at Loch Lomond and The Trossachs National Park. From cycling, walking, camping, water activities, angling, golf, climbing, Loch cruises and a waterbus. Whatever you choose, we’re sure you will enjoy your day here! Travel from your ABI and discover Scotland’s most exotic garden. Logan Botanic Gardens is home to plant treasures from South and Central America, Southern Africa and Australasia. Don’t forget to visit the award-winning Potting Shed Bistro while you are there! Paxton House is a perfect location to bring the family! The House has got activities for all ages and you can bring the dog! Enjoy exploring 80 acres of grounds, gardens, riverside and woodland, plus they even have an adventure play park which has a zip wire! Create your own hide out in their den building area, learn more about Paxton House and its rich history on a house tour, and don’t forget to enjoy a scenic boat trip down the River Tweed. Fancy visiting a city whilst on your ABI holiday? Well, look no further, take a trip to Edinburgh and visit their castle which dominates the city skyline. Edinburgh Castle is an exciting historic site, it has been voted UK Heritage Attraction in the British Travel Awards and is Scotland’s number one paid-for tourist attraction. 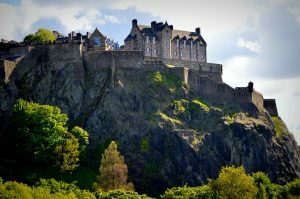 The castle houses the Crown Jewels of Scotland, the Stone of Destiny, the famous 15th-century gun Mons Meg, the One O’ Clock Gun and the National War Museum of Scotland. Plus, there are some great locations to take a well-deserved lunch break! Want a day filled with variety and gorgeous architecture? Harewood House is in the heart of Yorkshire and visitors can enjoy exhibitions of contemporary art, a rare Bird Garden, a Farm Experience and over 100 acres of beautiful gardens to explore. Plus, if you’re feeling peckish you can pay a visit to The Courtyard Cafe, The Terrace Tea Rooms or even have a picnic on the lawn. Want to experience leaving the modern comforts of your ABI and step back in time? Beamish is a famous open-air museum which tells the story of life in North East England during the 1820s, 1900s and 1940s. There you can tour the different centuries, ride a tramway and visit a farm, plus so much more! The Lake District is one of the most popular breaks for people across the UK. 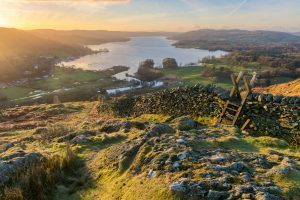 The Lake District National Park has a wide range of activities and attractions, as well as the natural beauty of the entire area. For a fun day out why not take the kids to the Treetop Trek? Blackpool Pleasure Beach is fun for the whole family. Whether you’re a thrill seeker and want to take on ‘Big One’ at the park or fancy seeing entertaining shows, Blackpool Pleasure Beach has it all. Additionally, it has the only Nickelodeon Land in the UK! 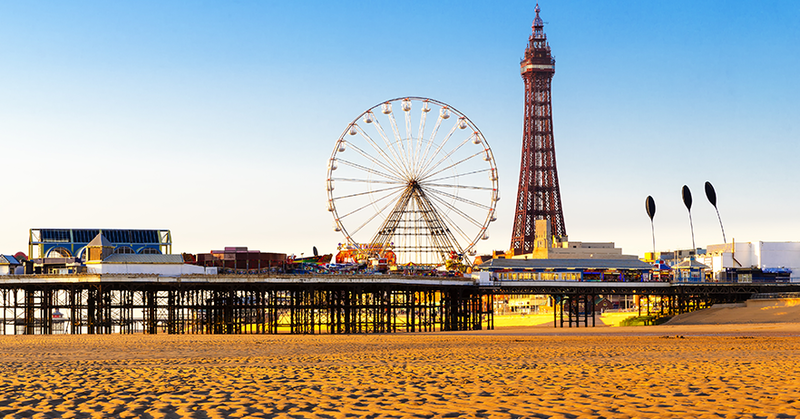 Plus, there are plenty more attractions to make your visit to Blackpool a memorable day. 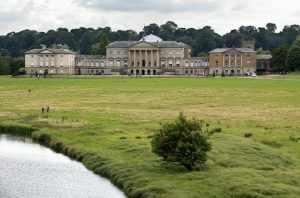 Kedleston Hall is an impressive neo-classical house set in landscaped parkland. It has been welcoming visitors for over 250 years and guests continue to be inspired by Roberts Adam’s vision for the private palace. Kedleston has an open garden complete with historic outbuildings, perfect if you fancy exploring beyond your ABI park. From Monkey and Meerkat’s to Turtle’s & Tigers there’s fun for everyone at Dudley Zoological Gardens. There are over 1,000 animals many exotic & endangered on a 40-acre site. Make sure to check out what’s on each day, they often have lots of activities to enjoy such as the Giraffe talk and feed! At Twinlakes Park there is so much to do; you can visit the Theme Park, Farm Park and their seasonal Water Park. Families can enjoy over 50 rides and attractions, including feeding a variety of animals at the Red Rooster Farm, you can take in the display at the Falconry Centre. Great Yarmouth beach is a perfect day out. The beautiful sandy beach gives you so much space and lots of options; from donkey rides to bouncy castles for the kids. The main focal points on the seafront are the two piers; at the Wellington Pier, you will find amusement arcades and ten-pen bowing! Are you a fan of gin? Well, the Bombay Sapphire Distillery is the perfect day out for you. You can go behind the scenes and discover how they infuse ten botanicals from around the world to create their gin. There are numerous ways for you to enjoy your trip so make sure to check their experience packages before going. Get ready to discover the UK’s largest network of civilian wartime tunnels. The tours last around an hour and a half and you will be accompanied by a guide throughout to help you understand their history. If your ABI is in the South, then Brighton Pier is a must. 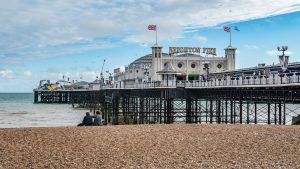 This Victorian pier is situated in the heart of Brighton’s coastline and is famous for its fairground attractions, the variety of food options, arcades and soft play area. Make sure to book a wristband on their website and save up to 25%! Newquay Activity Centre is great for an action-packed day out. With over 20 years’ experience, the centre is Trip Advisor’s number one Outdoor Activity Provider. There you can choose between surfing, bodyboarding, kayaking and so much more! If you’re looking for family attractions, then The Milky Way Adventure Park is perfect for you. There are classes, rides, shows and even an aqua park! Plus, there are a variety of places to eat after your day out! Stonehenge is one of the wonders of the world. You can walk in the footsteps of our Neolithic ancestors, visit the stone circle, explore Neolithic houses and discover the exhibition. 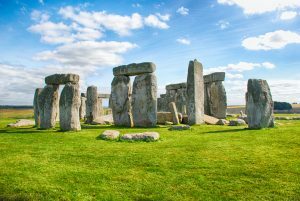 There’s so much to discover at Stonehenge, so make sure to pay it a visit! Bylch y Gueffordd Gardens is a 1000ft high, 3-acre long wildlife garden featuring a lake and several pools. There are a variety of themed gardens, including Mediterranean, cottage garden, woodland, oriental and memorial jungle. The Gardens are also a great place to bring the kids as they even have an adventure garden! 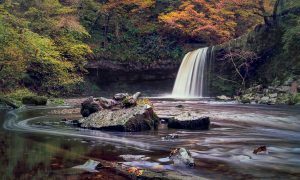 Henrhyd Falls in the Brecon Beacons National Park, Wales, is the tallest waterfall in southern Wales with a drop of 90 feet. You can follow the path to reach the waterfall and take in the beautiful scenery, a perfect day out from your ABI. If you’re struggling to entertain the kids at your ABI home, bring them to Folly Farm Adventure Park and Zoo, it’s a great day out come rain or shine! The park has 9 play areas which are all family friendly, plus there’s a variety of activities available throughout the day! The Ward family designed the Bangor Castle Walled Garden in the 1840s. It was previously closed to the public and was considered by many as a secret garden! However, the local council restored this beautiful garden and today you can walk around the enchanting surroundings. Plus, they often host seasonal events so make sure to check online for anything upcoming! 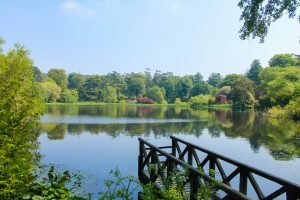 There’s plenty to do at Mount Stewart! Pay a visit to the neo-classical house or walk the extensive gardens (you can even bring the dog). They often host events such as monthly birdwatching and night runs. Visit Belfast for the day and explore Titanic Belfast. This is the world’s largest Titanic visitor experience, exploring the Titanic story in a fresh and fun way. Make your way through the 9 interactive galleries of the Titanic Experience, then seek the symbolism of the iconic building with The Discovery Tour and dine in Bistro 401. We are lucky in the UK to have so much on our doorstep. ABI holiday homes are the perfect way to appreciate your surroundings. We hope this blog has helped you decide what to visit next! If you have any suggestions for your region let us know via social media and remember to keep sending us photos. You can follow us on Facebook, Twitter and Instagram. If you’re yet to purchase an ABI and would like to find out where you can buy one from click here.